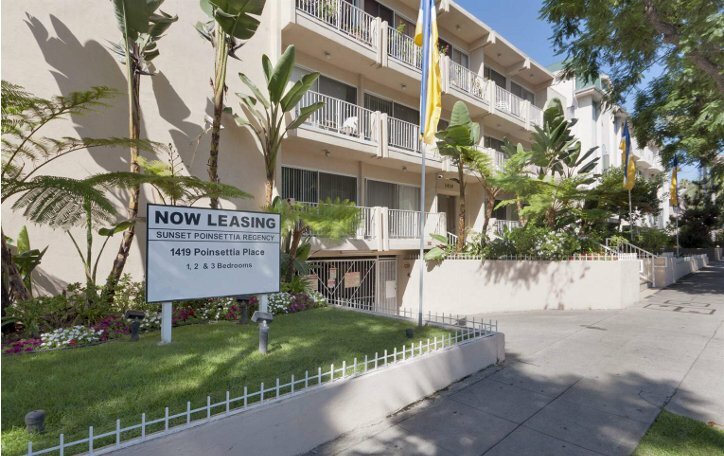 Sunset Poinsettia Regency is located on Poinsettia Place between Sunset Blvd. and Fountain Ave. We are situated conveniently to grocery stores, shopping, restaurants, coffee shops and the public library. We feature mid-sized one, two and three bedroom apartments in a beautiful building.